Dj B-Side takes to the stage, a long-standing resident of Southampton's bars and clubs, presenting a selection of the finest disco and funky beats. BE Social, Southampton's flagship pre-club party packed full of booty shaking grooves. Dj B-Side takes to the stage having been a long-standing resident of Southampton's premier bars and clubs, presenting a selection of the finest disco and funky beats. 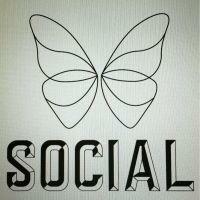 Start your night right at BE Social, every Saturday from 8pm. FREE Entry at the cities friendliest pre-club venue. After recently returning to the South Coast after taking on London's iconic music scene, B-Side brings a box full of funky disco, soul and breaks and an unrivalled knowledge of getting a party hyped.